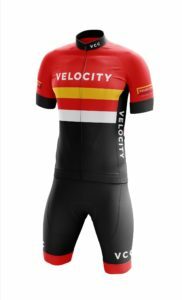 At the January club meeting, we approved the 2019 re-design of the club kit. Still to come are a few sponsor logos. The new kit will be available directly through our website’s Jakroo clothing store. Please be patient and wait before ordering any kit for 2019. You’ll know our store is updated when kit images look like the one above. Hopefully sometime in February. We’ll announce when it’s active for orders. Help Us Make Velocity CC Even Better! Your feedback helps us shape the future of Velocity’s programming to be even more valuable to riders like you. Wonder why Velocity can keep your membership dues so low AND offer great programming AND offer reimbursement of race entry fees? Because we are a youth-oriented cycling club, and benefit from fundraising as Alberta Casino Volunteers. Every two years we must volunteer a few hours of time in return for nearly SIX FIGURES in casino fundraising. Our casino dates this year are March 16 and 17 at the Yellowhead Casino. Sign up details will be posted to the website soon. Spring will be here sooner than you think! Join your clubmates for the annual Spring Riding Camp in the Penticton – Okanagan region, April 27 to May 5. For Velocity members only, I’ve negotiated a discount on a print subscription to Canadian Cycling Magazine. Members can get a one year subscription for $15.95, saving $5 off their regular rate. You’ll need to email me directly to get the link though – the magazine doesn’t want me sharing it publicly on our website. Email Coach Kevin coaching@velocitycyclingclub.ca Please put “Magazine offer” in your subject line. Want to complete your knowledge of Cycling terminology? Then please check out the CycleSpeak glossary on my own website UltimateCyclingSuccess.com. Hey, as we all know, people that take fast action get fast results. Success loves speed. And so listen, if you haven’t been training consistently since the snow hit our streets, and want to get back into riding form, you absolutely have to take action now while your motivation is high. Because you know it only gets harder as the year goes on. Fortunately, this year is different… Because every other year you tried to do it on your own… But that doesn’t work… Sure, success loves speed. But success also REQUIRES good coaching. This year, you’ve got me on your side… But only if you take action now. The key ingredient to great coaching is one-on-one communication. And I don’t have enough time to interact like that with very many Cyclists. I have less than 10 spots left on my athlete roster for February. Please look over the coaching offers I have created specifically for Velocity members at this LINK.